Infinite Art Tournament: The Boring Postcard Damfest!!! 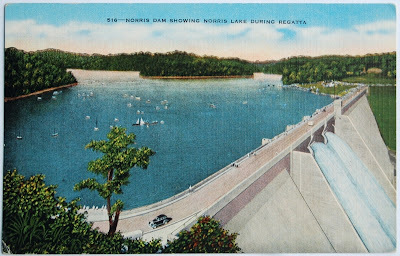 Norris Dam showing Norris Lake where sail boats and varied types of power boats competed in a series of races at the first regatta ever held on Norris Lake. 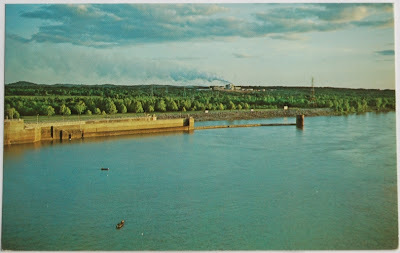 View from the bridge over Pickwick Dam on the Tenn. River looking towards the locks. 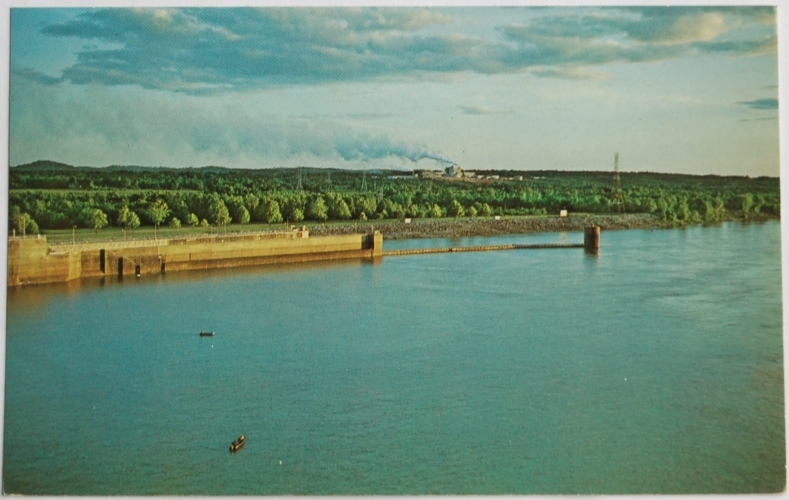 The Tenn. River Pulp and Paper Co. is visible in the background. 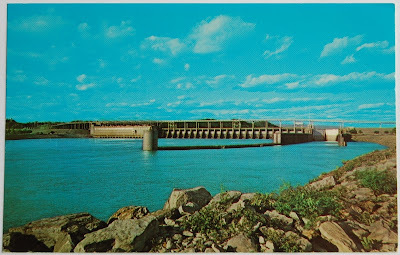 Pickwick Dam on the Tenn. River. 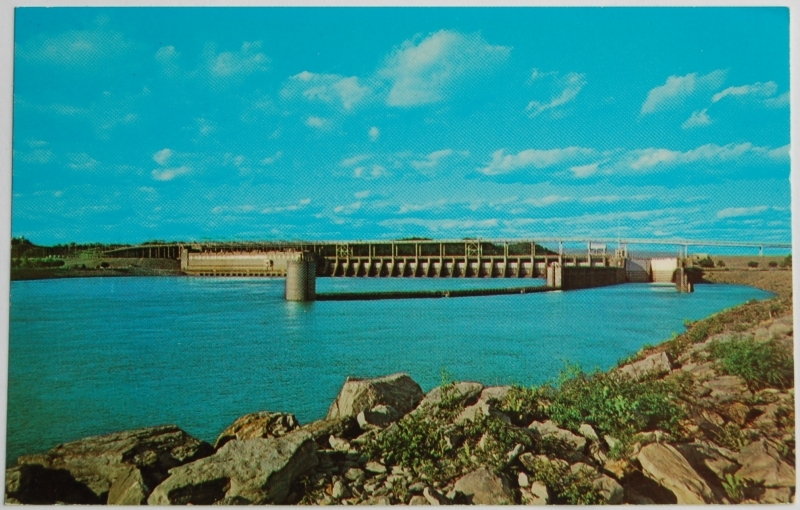 This view from down stream shows the locks and spillways. 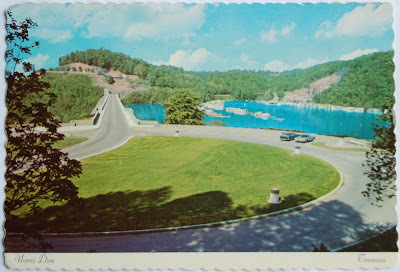 The waters below Kentucky Dam abound in Catfish for which the Tennessee River is famous. Thousands of enthusiastic fishermen come to the waters of Kentucky Lake yearly, for such thrills as pictured here. There. Now no one else will feel obligated to make the obligatory joke. I think "for such thrills as pictured here" is one of my favorite postcard lines ever. Yes, to what Mrs. 5000 said. 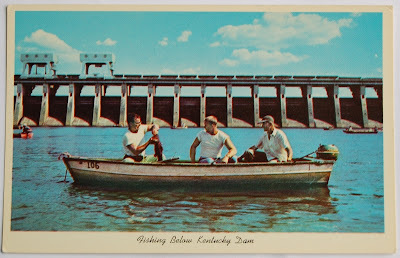 Henceforth, I will use that line in every postcard I write. When I remember. See, my favorite detail from this bunch is the tautology in the caption for the first one. All of the Norris's have kind of a hypnotic effect. 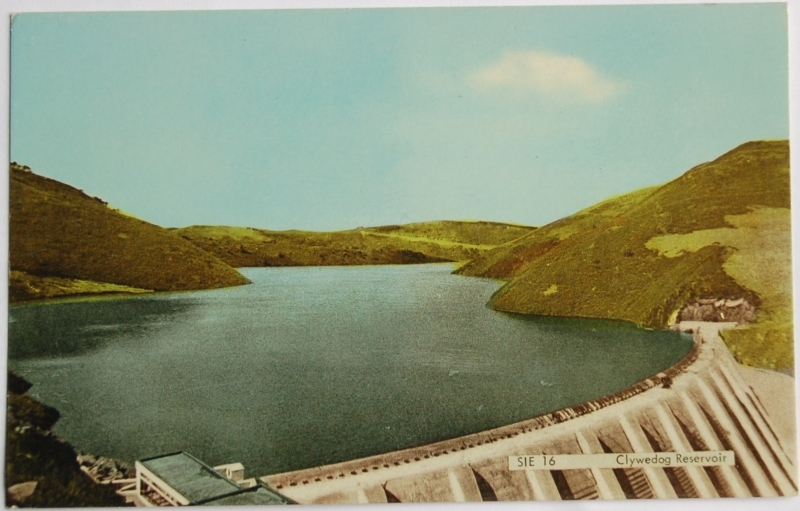 If Phillip Glass was going to write an oratorio based on boring postcards, I'd send him this one.